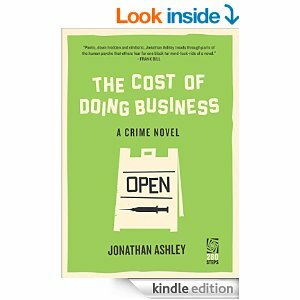 The Cost of Doing Business by Jonathan Ashley is the third book published by 280 Steps, and it is the third book I really liked by this publisher. It has certainly put 280 Steps onto my radar. The plot for this novel made it a must read for me. When Jon, a local bookstore owner, lets his temper get the best of him and he kills a local drug addict, he needs to figure out a way to avoid getting caught for his crime. What is his answer to the problem of not wanting to go to prison? Well to become a big name drug lord of course! Well, he actually doesn’t set out to become a huge drug dealer, but one thing leads to another and he is in over his head in the world of dealing drugs. Along for the ride is his friend Paul and the two of them get deeper and deeper into a world they never dreamed they would be in. The book picks up speed quickly and the characters are memorable. I thought Ashley handled the plot well and I was invested in the story pretty quickly out the gate. 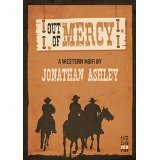 The book was a satisfying read and put Ashley on my radar to seek out his next book.